House of Israel is a Jewish community located in the scenic hills of Sefwi Wiawso district of the Western region of Ghana. 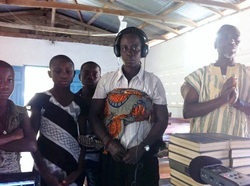 Unlike with most parts of Ghana, Christian missionaries reached this region relatively late. Before being converted into Christianity, the Sefwi people used to practice their own indigenous religion, which laws corresponded to the Torah laws. Work on the seventh day was strictly prohibited and violators were punished with severe fines; all males were circumcised; a husband and a wife were separated during menstruation; eating pork-like animals was forbidden. Those customs were preserved by the paramount chief but abandoned with the spread of Christianity. In 1977, the founder of the community Toakyirafa had a vision that the Sefwi people were one of the lost tribes of Israel, the starting point of return of the Sefwi people to Judaism. After adopting Judaism, the community members went through persecutions and humiliations from their neighbors, the reason they had to leave their village Old Andiembra and resettle at a new place called New Andiembra. Later, the law of Freedom of Worship successfully implemented by the government of Ghana ended persecutions, and today about a hundred Sefwi Jews worship openly and live in peace with their Christian and Muslim neighbors. They were granted 40 acres of land by the chief and make their living from farming. 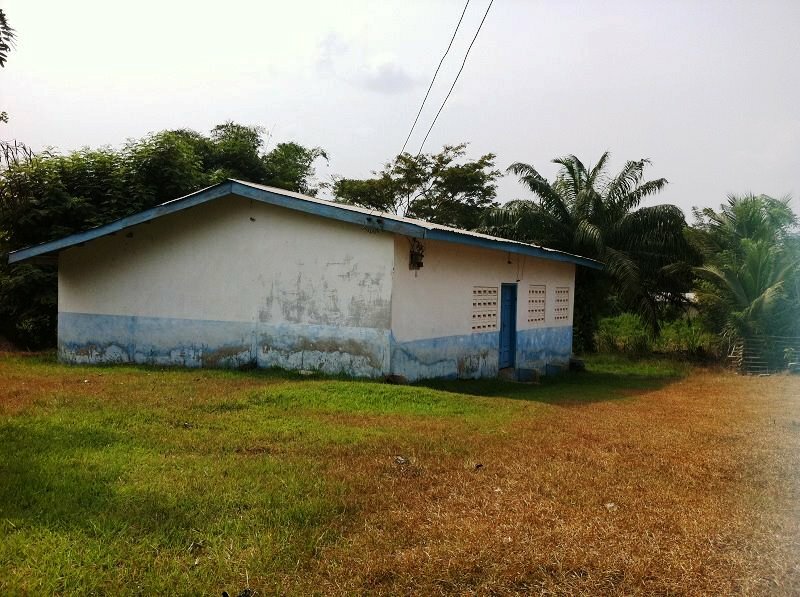 On the money earned from farming they built the only synagogue in Ghana where they conduct services. According to the research of the present leader of the community Alex Armah, based on examination of oral tradition, the Sefwi people came to Ghana from Ethiopia and Sudan. One of the common heroes of Sefwi songs is Kwame. Kwame is the name given to a person born on Saturday. Such songs are traditionally used in celebrating the seventh day. My journey to Sefwi Wiawso started at the Neoplan Station bus depot of the capital of Ghana Accra. After three hours of patient waiting, the bus was finally fully packed and ready for an eight hour ride through bumpy roads covered with ginger-color dust. The first few hours of the journey were quite entertaining, when virtually every passenger in the bus showcased his skill as a pastor preaching the Bible, supported by vociferous "amens". Then, exhausted by the road, the passengers sat themselves quietly, and now the only sounds were the roar of the engine and high life music playing on full volume through the radio. At two in the morning the bus reached Sefwi Wiawso, where I got off together with another passenger who kindly helped me with my baggage, and the bus went on on its journey. This is exactly what my eyes and phone camera saw when I got off the bus. There was no one waiting for me, and I could not see even one meter in front of me. To add to my panic, I discovered that my cellphone does not detect any network. My co-passenger also seemed stressed. He had to wait for the bus that will take him to his village till six in the morning on the empty road in total darkness. Fortunately, after about half an hour, we saw the headlights of the car approaching. This was our savor Akivah from the Jewish community of Sefwi Wiawso. What Akivah did next impressed me till the depth of my heart. He took the stranger from the bus with us, so that he could stay at his home till morning. As for me, I was settled at the traditional African family compound of Joseph Armah in the village New Andiembra. A family compound is a cluster of residential structures formed into a rectangular with an open courtyard in the middle and one main gate in front. Traditionally the Ghanaian families were polygynous (a husband and a few wives), and the compound was the residence of the male head of the family and his wives, their children, and their children's families. Today monogamy is common for the Jewish community members, though the polygynous families still exist among earlier generations. Therefore my first task upon my arrival was just to memorize the names of all numerous aunties, uncles, nieces and nephews. Since the leader of the community Alex Armah was away when I arrived, I was appointed another wonderful guide, Rachel Armah, the youngest daughter of Joseph. Though Rachel is only a school girl, she can speak fluent English and decent Hebrew. The mother tongue of the Sefwi people is Sefwi, but everyone also speaks perfect Twi. People of older generation know very little or no English and my modest knowledge of Ga, or as they call it the Accra language was of very little use. Rachel was indispensable not only as an interpreter. Her knowledge of the history of the community, its customs and daily life tasks is sensational. In Ghana the parents are entitled to full authority over and respect from their children. Every morning with the first rooster's wake-up call, Rachel together with other children started with sweeping the floor of the courtyard, and each time Rachel heard loud "Rachel!" she would rush immediately and without wranglings to do her next task, not kind of our "if you don't clean your room, you will not get pocket money" parents-children relations.